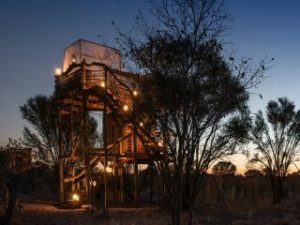 Sleeping under the stars, a unique and unconventional safari experience at Skybeds. SkyBeds is a unique and unconventional camp consisting of 3 five metre high sleeping platforms complete with bathrooms. It’s an exciting and exhilarating place to stay. 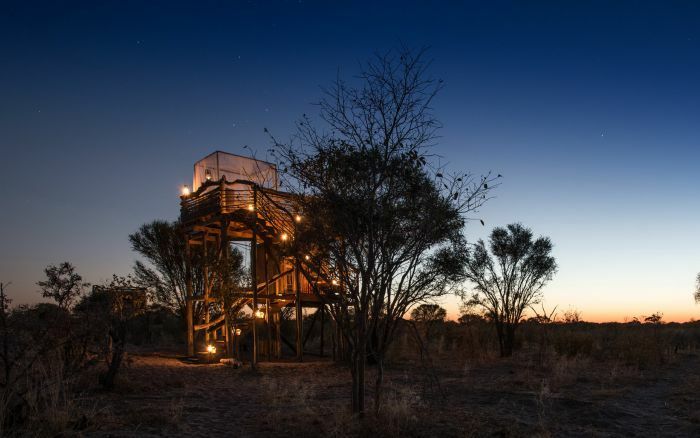 The platforms are in a private area of the Khwai concession, and are positioned to overlook an active waterhole. 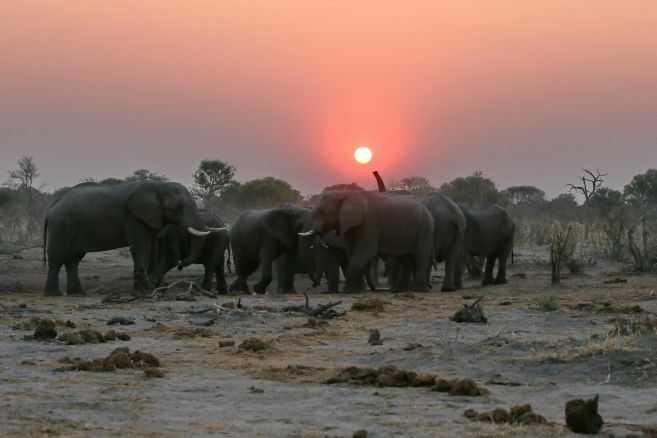 It’s a chance to experience the bush in a different way. The camp is simple and rustic, your guide is also your cook and your host, preparing meals over a fire and dining takes place under the stars. Your home at SkyBeds will be one of the three platforms. Each one is raised from the ground giving you a good vantage point over the surroundings. The top floor is the bedroom, comfy and cosy beds are covered by mozzie nets and an additional bed can be added for children over 12. The floor below houses the shower, toilet and a dressing area. 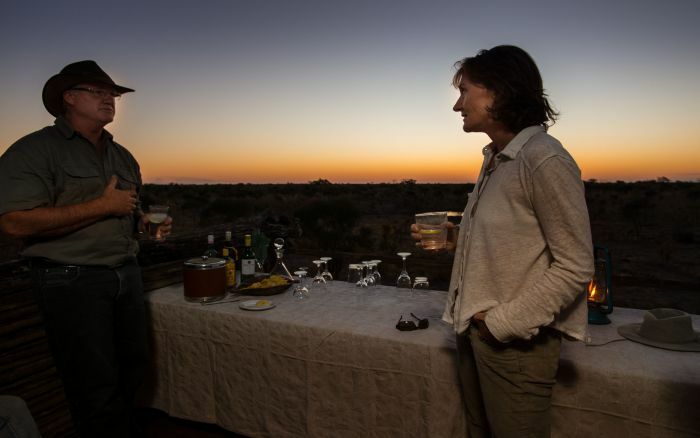 A night or two at SkyBeds combines perfectly with a stay at one of the sister camps, Hyena Pan or Sable Alley giving you the best of both worlds. 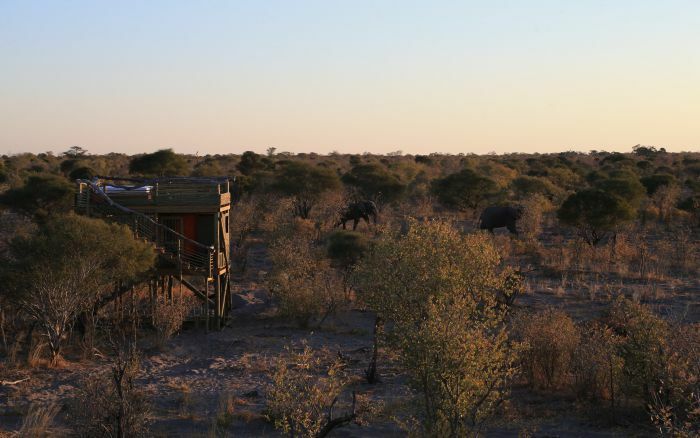 While staying at SkyBeds you can enjoy game drives exploring the area during the day, afternoon game drives will continue after sunset, After dark the camp is lit by lanterns, evoking a romantic atmoshphere. And you can sit around the roaring fire, enjoying a drink as dinner is prepared. 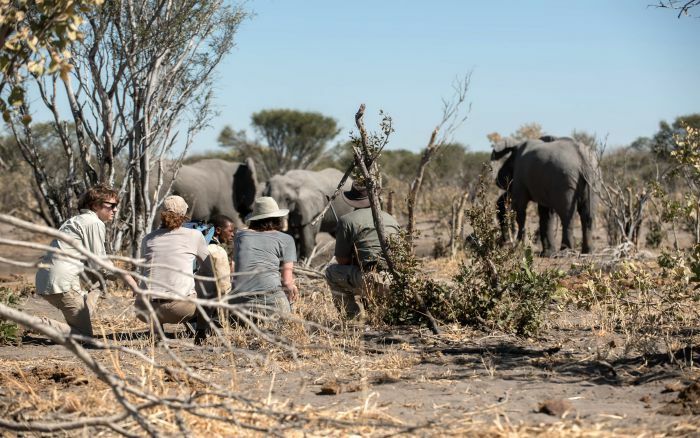 Guided walks are also a part of SkyBeds, it’s another way to explore the area and discover some of the smaller things that you may have missed on the game drive vehicle – your guide will be a font of knowledge and wisdom that he is only to willing to share. One of the highlights has to be watching the active waterhole of an evening, on one night guests are known to have seen wild dogs, lions, elephants and hyena, although we’re not sure how much sleep they got. Other visitors to look out for are elephant, kudu, zebra and possibly smaller nocturnal species such as porcupines, genets and honey badgers. The 3 platforms, each is 5 metres high. The top floor is the sleeping area and the floor below houses the bathroom facilities.